Lock in a great price for Holiday Inn Express Barcelona - Montmeló – rated 8 by recent guests! Great location and great value to stay for a night. Free parking and pretty good breakfast. Staff are friendly and hotel is very clean. Ideal for a short stay at a good price and you've got all the comfort you need. Great staff, clean and tidy hotel, free secure parking. Breakfast only continental but plenty of it and very fresh. Hotel has had a recent refurbishment and is like new in both rooms and public areas. Location right next to the Barcelona Circuit (if that's what you need). Free closed parking for the customers and plenty of parking places in close vicinity. Open and helpful staff. Standard breakfast: ham, cheese, boiled eggs, pastry, grain flakes and milk. Clean bathroom with full size bath tube. Windows can be open - that's a plus. But the nearby industrial area produces some smells that might require you to have a quick reaction to close those in case wind direction changes. Choice of small and big cups for hot beverages at the breakfast (boy I get tired refilling those tiny cups of tea in so many hotels - but not this one :) ). Holiday Inn Express Barcelona - Montmeló This rating is a reflection of how the property compares to the industry standard when it comes to price, facilities and services available. It's based on a self-evaluation by the property. Use this rating to help choose your stay! 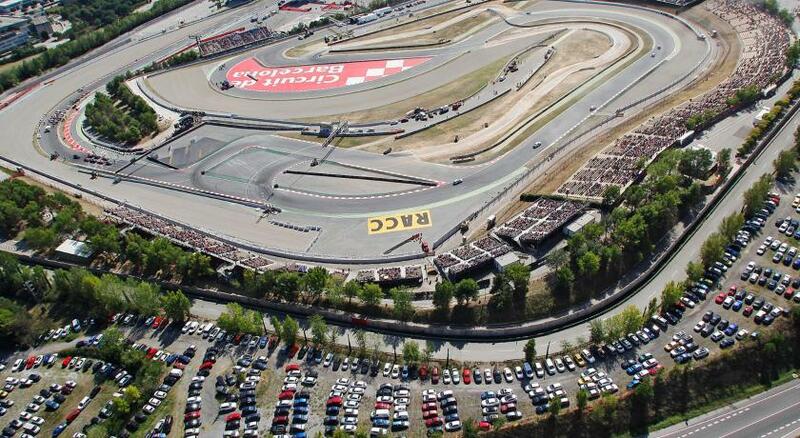 Holiday Inn Express Barcelona – Montmeló is just 650 feet from the Circuit de Catalunya Race Track. It offers free public parking, a 24-hour reception and air-conditioned rooms with satellite TV. Each bright room at the Holiday Inn Express Montmeló features simple, functional design. All rooms are air-conditioned and include tea and coffee making facilities and a private bathroom. Rooms adapted for guests with reduced mobility are available upon request. The Express by Holiday Inn Montmeló has a quiet lounge bar. The daily breakfast buffet includes local dishes such as potato omelet. A meeting room is available for a surcharge. 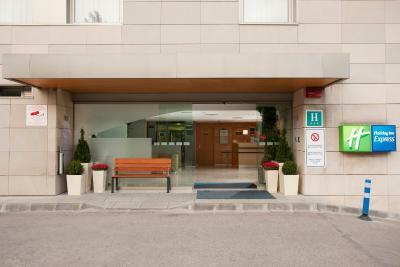 Located 2.5 mi off the AP7 Motorway, the Holiday Inn Montmeló is a 30-minute drive from central Barcelona. Girona Airport and the beaches of the Costa Brava can be reached in around 40 minutes. 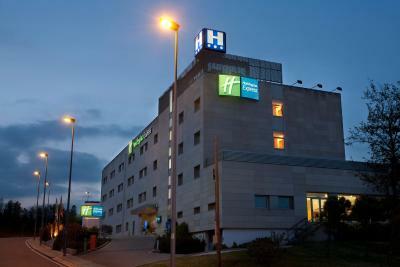 When would you like to stay at Holiday Inn Express Barcelona - Montmeló? This air-conditioned room features satellite TV and a coffee maker. The private bathroom comes with a power shower and a hairdryer. House Rules Holiday Inn Express Barcelona - Montmeló takes special requests – add in the next step! Holiday Inn Express Barcelona - Montmeló accepts these cards and reserves the right to temporarily hold an amount prior to arrival. Cleanliness, small beds and no soundproof rooms. Very close to the circuit. Very clean cosy and comfortable rooms. Bed very good. Room was indeed very comfy Breakfast well assorted. The bed are to soft it's the only apoitment…. The hotel is on the edge of an industrial park so unless you are there on business or visiting the motor circuit as we were (virtually next door) you will need a car. For the racing it is perfectly placed and used by some of the teams.